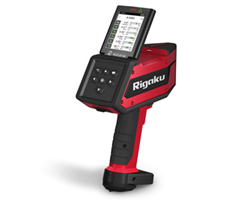 Rigaku Corporation is pleased to announce that Rigaku Analytical Devices (RAD), a leading provider of innovative handheld spectrometers, will be exhibiting its latest analyzers at the 2018 Pittsburgh Conference & Exposition (Pittcon) at booth #2002. The event is taking place at the Orange County Convention Center in Orlando, Florida, from Feburay 26 through Mar 1, 2018. In addition to exhibiting at the conference expo, representatives from RAD will be hosting two informative talks during the conference. The first presentation is entitled, “Breakthrough Applications for Handheld LIBS” and will be presened by David Mercuro, Product Manager at RAD, during the “Field Spectroscopic Applications: Point of Care, Safety & Security and Environmental Scenarios” session on Monday, February 26 from1:30pm – 4:25pm in room 208C. The second presentation, “Chemometrics – Not ChemoMagic” will be presened by Dr. Suzanne Schreyer, Senior Applications Scientist, during the “Food, Photonics and Field Spectroscopy” session on Thursday, March 1 from 1:50-2:10pm in room 208A. RAD was formed as the global handheld and portable spectroscopic analyzer business unit of Rigaku Corporation in 2011. RAD’s portfolio of handheld and portable spectroscopic analyzers are used for a variety of applications, empowering our customers to achieve rapid lab-quality results any time, any place. RAD is based in Wilmington, MA USA.